Joined by faith and civic leaders on the National Day of Prayer last Thursday, I chose to speak about helping those less fortunate at the 24th annual Mayor’s Interfaith Community Prayer Breakfast. I compared the daily comforts most of us take for granted – warm blankets, a hot daily shower, a toothbrush and clean clothes – to the bleak experience of people who live on our streets. With the commitment that arises from a community’s collective prayers we can help turn the tide on the growing problem of homelessness. Organized annually by the San Dieguito Interfaith Ministerial Association and the city, the 115 residents and local leaders in attendance heard from a diverse group of religions and speakers. An annual crowd-favorite is the Grauer School students (at left) offering a youth peace blessing in multiple languages, including sign language, spoken by students. Preventing homelessness in the first place should be our priority. After the prayer breakfast, a member of the Swami’s Self-Realization Fellowship shared that their congregation periodically initiates a call for donations to help pay the mortgage of a local family that is sometimes unable to make their payment. Desperate for help, this family turns to their faith community with a requested monetary contribution that will help them stay in the housing they have. This compassionate example highlights the informal role each of us has in helping those among us who are housing-insecure. The unfortunate series of circumstances that leads people to live on the streets has many intervention points. Safety net programs run by organizations like the Community Resource Center, funded by both the government and private donations, are critical. They should, however, be the last resort. Pulling together as a community of individuals committed to keeping those in our extended families and networks off the street is the first and best solution. The more that each one of us does to help out, the greater the benefit – whether it’s a small amount of financial help for that family member who seems to be on the brink, offering part-time employment to someone on the margin, collecting donations to help one family stay housed, or opening up a bedroom in our homes for a parent, sibling or friend in need. While the 19 now-sheltered people is a success, the people we can help avoid homelessness in the first place aren’t counted in the official statistics, but are just as important. Homelessness in Encinitas and elsewhere is not something we should reluctantly accept as a given. We can recognize there will always be some very small segment who does not have permanent housing. But the number of people living unsheltered on the street is growing, and we need to stop and reverse that trend. Collectively and individually we can do our part to improve the lives of the less fortunate. 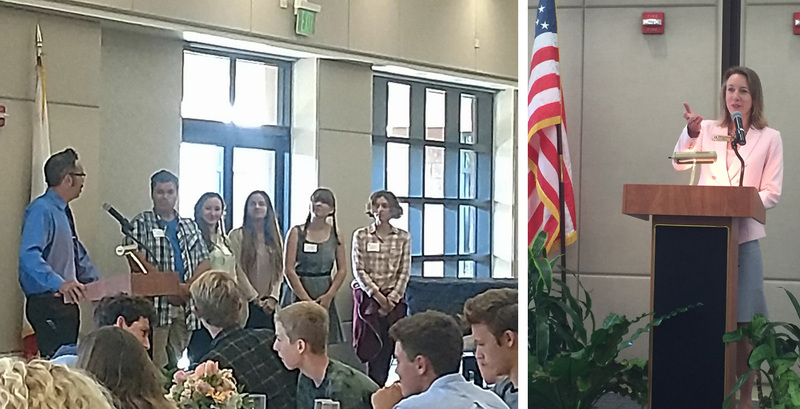 Here are articles about the prayer breakfast from the Encinitas Advocate and Seaside Courier. In addition to having modest housing, I believe it’s a fundamental right in our modern American society to have access to reasonably priced healthcare. The Affordable Care Act recognized this as a premise and made great strides in attempting to provide healthcare not only for the better-off and fully employed in our country, but for everyone else too. Unfortunately 217 members of the House of Representatives voted last week to eliminate the system that provided the health insurance that millions of Americans now depend upon. The predicted result will be 24 million Americans left without affordable healthcare, returning to the days when sky high medical bills resulted in bankruptcy, lost homes, and foregone critical care. The consequence will be additional and needless suffering and tragedy for many Americans. If you live in Encinitas, your Congressman Darrell Issa voted Yes on this healthcare elimination bill. I point this out because no matter where you stand on any given issue, I believe it’s critical that you know how your representative votes so you know if that person represents your values. The healthcare bill now heads to the Senate, where I hope that more compassionate minds will prevail. I’m reminded of a famous discussion between two of our nation’s founding fathers, George Washington and Thomas Jefferson, about the need for the Senate as a branch of the federal government. Washington apparently compared the Senate to the tea saucer. “When you find your tea too hot you pour it from the cup into the saucer to cool it.” The Senate, with the deliberation and reflection that results from six-year terms, is the saucer meant to cool the passions and populist impulses of the too-hot House. What a treat to officially welcome to Cardiff the county’s fifth Pappalecco Restaurant. They’ve been open about six months but just got their city license to sell wine and beer. The house was packed to the gills last week for their official Cardiff grand opening. Pappalecco is known for its authentic, delicious Italian food, coffee and gelato. Two brothers, Francesco and Lorenzo Bucci, moved to San Diego and opened their first restaurant ten years ago. They said that when they drove around the area they saw all the Italian-themed names, and they knew it would be a good business environment for them. 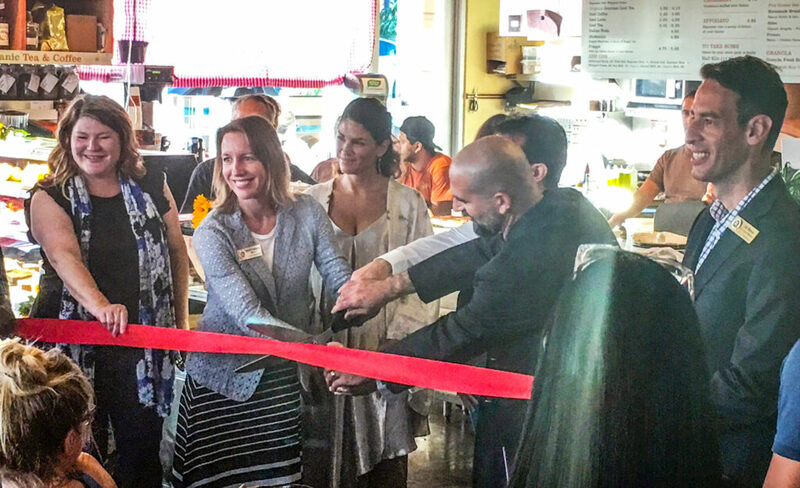 Featured here are Councilmembers Tasha Boerner Horvath on the left and Joe Mosca on the right, and the Bucci family that owns and runs Pappalecco in the middle. Visit them at 2101 San Elijo Ave., Cardiff if you haven’t already! The Ad-hoc Housing Committee had a great discussion with our new housing element consultant about the dozens of previous housing elements he has helped cities prepare. Creativity and context-specific solutions are what’s needed to succeed. I felt that he understood and embraced this approach. Our next meeting is in about two months, once he’s done a site specific inventory and analysis of all the sites on the previous housing element map. The Arts Culture and Ecology Alliance is looking for a paid administrator to help launch the programing at Pacific View. Here’s the link to the advertisement. Passport to the Silk Road should be another fun arts, culture and food event in the city next Saturday from 6 p.m. to 10 p.m.
I’m engrossed in preparing my portion of our presentation to the Coastal Commission in support of approving Encinitas’ vision for the SANDAG bike and pedestrian improvements on Highway 101. The day of reckoning is this Thursday, likely after 12-noon given their heavy agenda. Despite the fact that we’re asking the Commission to overrule its staff recommendation, I feel cautiously optimistic about the likelihood of us prevailing, given the strength of our arguments and the number of environmental, safety and practical problems associated with the east side alignment. 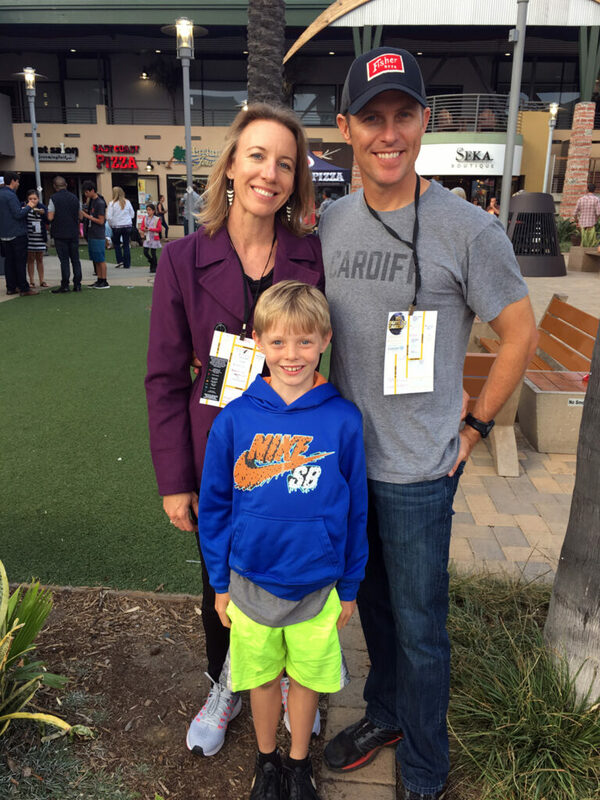 Three members of the Blakespear family enjoyed the annual Taste of Cardiff last week. The fish entrée from Seaside Market was my favorite!